With the flow of recent PB's announce, Airi's 6th, Reina's long awaited 8th titled Kira ★ Kira, Gaki's last (with in Momosu), i thought it was time that we had a guess as to who would get on this year. Below is a list of all the girls who either have yet to receive one or their last PB was at least 7/8 months ago. Has a PB, Shimizu Saki, and a DVD, SAKI, both released Jan 12 2011. Would love another PB, this time showing her love for dancing and her everyday life as a 20 yr old. since her last one that she hasn't gotten a new one. Has a PB, Chisato, released Dec 24 2010, and 2 DVD's, Chissaa and E-Hello: IMP.GIR. This girl needs to keep releasing things including her youtube videos. I've noticed that the girls of Passpo are posting dance covers of their dances on their channel and Up Up Girls are doing H!P dance coversas well so Chissa needs to reclaim her throne. Has yet to recieve anything (and really needs something before Take-chan and Meimei get theirs) If the new member get one before her it will be the 4th biggest crime to have happened to the original S/mileage members. 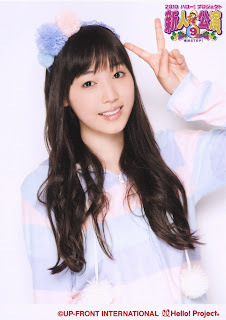 Has 1 solo DVD, e-Hello: Greetings ~Fukumura Mizuki~. Lord, i pray, give this princess a PB, Please? Has nothing (Expecting an E-Hello DVD soon titled Greetings ~Ishida Ayumi~) Will most likely be the first out of 10th gen to get one what with her being pushed. Has yet to receive anything (ant i doubt she will any time soon). Face it. Never gonna happen. 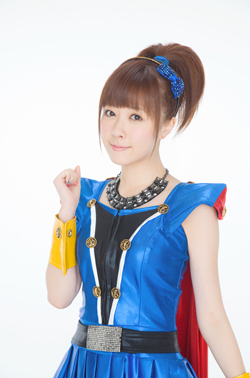 Has 1 solo DVD, E-Hello: Greetings ~Itkuta Erina~. it would be great for her to get one. She's come on so much in with the modeling and posing. Has yet to receive anything (will get something soon). It would be great if she could get a PB with Maimi wouldn't it? Has yet to receive anything (will wait till after 13th gen arrive before she gets anything) Face it, she's the least popular member in H!P meaning she won't even get a look in until S/mileage has like 6yrs on them. Has a PB, Sayashi Riho, released August 27 2011, and 2 DVD's, Riho and E-Hello: Greetings ~Sayashi Riho~. Was too young for the first one and will still be too young for the next one which I'm sure is on the way. Has a solo DVD, E-Hello:Greetings ~Suzuki Kanon~. As much as i love this girl, 1) she's too young, 2)she has more meat on her than the other girls, 3)with the little promotion she gets, she unlikely to get one any time soon. Has a solo DVD, E-Hello:Greetings ~Sato Masaki~. Another girl i think is too young for a PB, but would be good for her to have one. 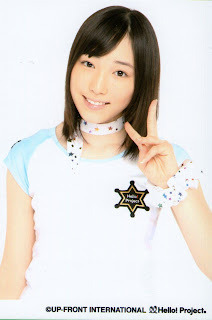 Has a solo DVD, E-Hello:Greetings ~Kudo Haruka~. Kutie is too too young for one. But her new hair cut makes her look older than her 12 yrs. The poll is in the side bar to the left. Voting will close when the next PB is announced.